In most parts of the world, you will need some sort of permit before drilling a well. The reason for this is that in some cases, there are environmental consequences to doing so. 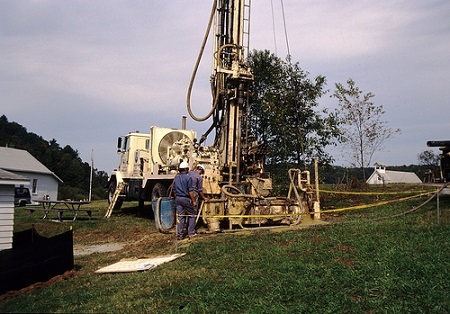 Simply drilling a well without getting the right permits set you up for future legal action, which can sometimes be very expensive to deal with. As soon as you realize that you will need a well, find out whether or not a permit is needed (which depends on your locality) and apply for it before doing anything else. How is the drilling done? It’s important that you understand this, even if for the sole purpose of knowing what to expect once you start the process. Usually, drilling a well means sinking a pipe into the ground, until it reaches a water table. A pump can then be used to get the water out of the ground. This already tells you a couple of things: you will need special pipes to do the job, and you may also need to invest in a pump for this as well. •	The presence of any underground contaminants: Facilities such as sewers have the potential to contaminate the water in the wells. Making sure that the well is drilled away from such sources is important in preventing such problems. •	The nature of the ground: Ideally, the well should be drilled in a part of the ground that has the softest earth possible. If a survey is possible, it should be done to find out parts of the ground that do not have too much rock in them. •	Your local regulations: In some parts of the world, you might not be allowed to drill wells when a few circumstances are not met, such as when there are too many wells in that region. In such cases, it might be necessary to find a more distant location to drill one. These are just some of the variables that need to be understood before sinking a well. Consulting a quality well expert is often necessary to ensure that all the above are done with minimal problems, since they can rely on their skill and experience to make sound decisions.